Arthritis affects more than 50 million adults and 300,000 children in the U.S. It’s a common problem that can be debilitating for many. 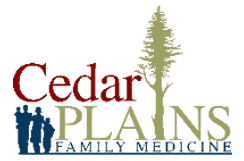 Dr. Spohn at Cedar Plains Family Medicine in Hickman, Nebraska can help you gain control over the inflammation and pain caused by your arthritis. Call today, or schedule an appointment using the online booking button. Arthritis is a condition that causes pain, swelling, and inflammation in your joints. It’s a common condition that can occur at any age and tends to affect women more than men. The discomfort you feel from arthritis may come and go, but it usually worsens over time and can make daily activities, such as climbing stairs, very difficult. If left untreated, arthritis may cause permanent damage. You may know you have arthritis from your symptoms or knobby fingers, but an X-ray is needed to diagnose. In some cases, you may not realize the pain you’re experiencing, such as back pain, is due to arthritis until you get the X-ray. There are more than 100 different types of arthritis, but some are more common than others. Osteoarthritis is caused when the cartilage between your joints wears down and allows your bones to rub together, causing pain and inflammation. It’s the most common type of arthritis and develops from general cartilage wear and tear. An autoimmune disorder, rheumatoid arthritis triggers your immune system to attack the lining of your joints, known as the synovium. Over time, the constant attacks lead to permanent damage. Gout is an inflammatory arthritis that primarily affects the joint in the big toe, although you can get flare ups in other joints, too. It’s caused by excess uric acid, which is a chemical created from the breakdown of purines, and are found in foods such as liver and dried beans. Like rheumatoid arthritis, psoriatic arthritis is a type of autoimmune disorder arthritis that causes your immune system to attack the joints and connective tissue, which results in pain and inflammation. Fibromyalgia is also a type of arthritis that causes pain throughout your entire body. If you need help with weight loss, you may be interested in Dr. Spohn’s second practice, Bella Wellness & Aesthetics. Surgery may also be recommended; however, it’s usually the last option for treatment and may only be suggested if the more conservative treatments fail to relieve your pain and improve your quality of life. For management of your arthritis pain, call Cedar Plains Family Medicine, or schedule an appointment online.